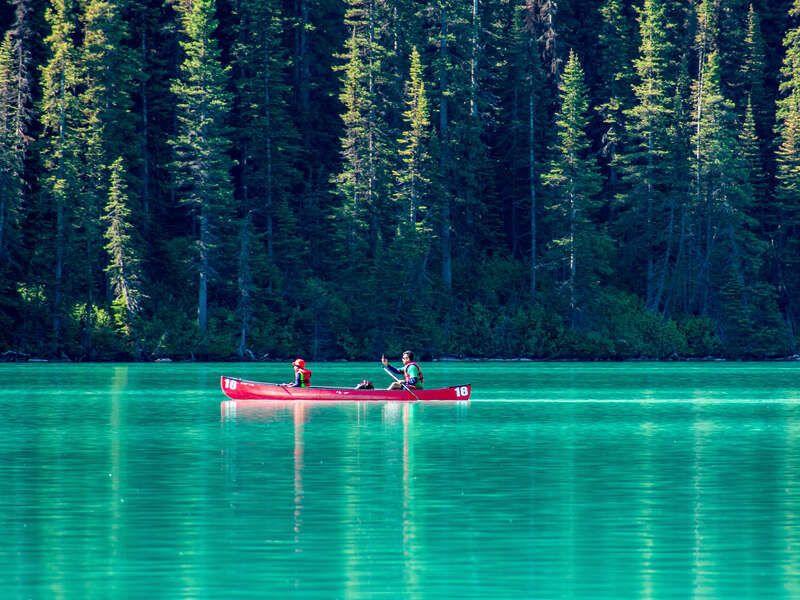 Oh Canada, how you continue to amaze us! This was our third time traveling into our friendly northern neighbor’s beautiful territory. Although it was a first for the visiting Canada on the west coast. 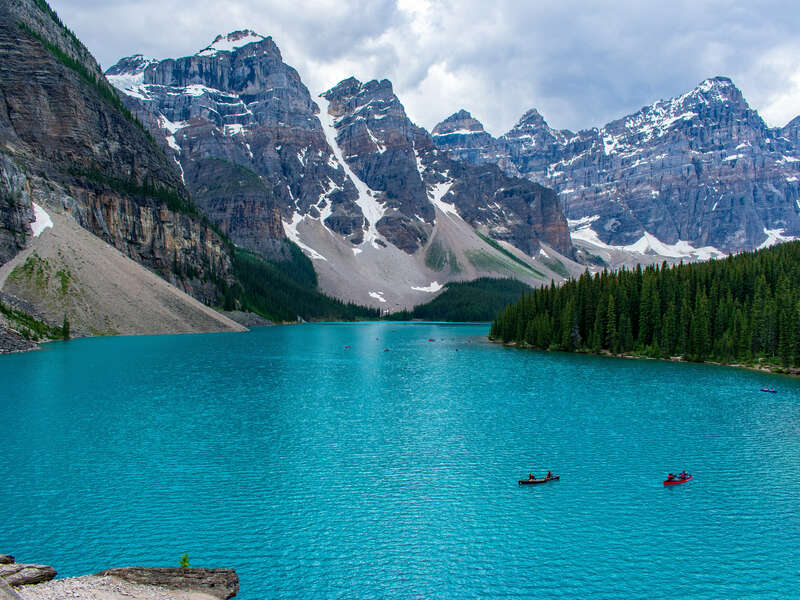 This time, our plan was to visit Banff National Park, in Alberta Canada. We continuously heard how incredible this place was, yet we were still absolutely blown away by it’s beauty. 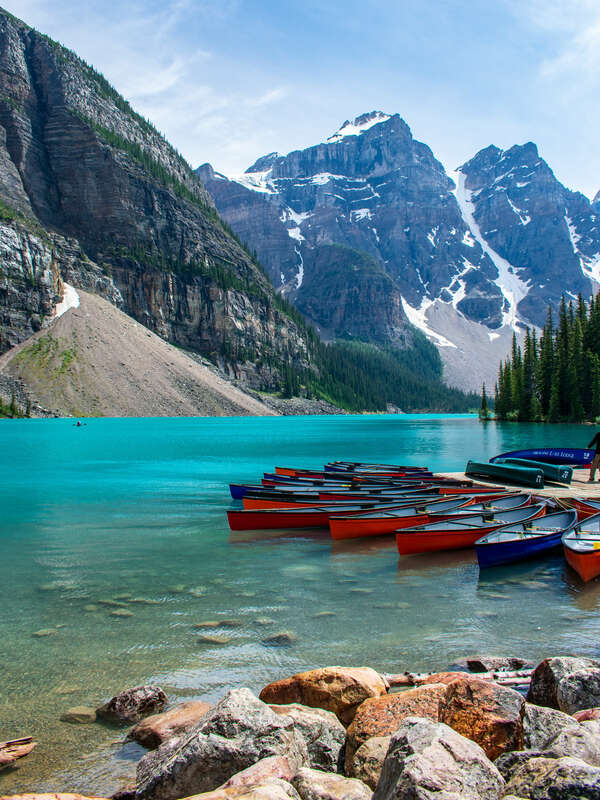 If you’re headed toward Canada (whether it be on an RV or not), Banff should be a top destination and a “must-do” if you’re in Alberta. 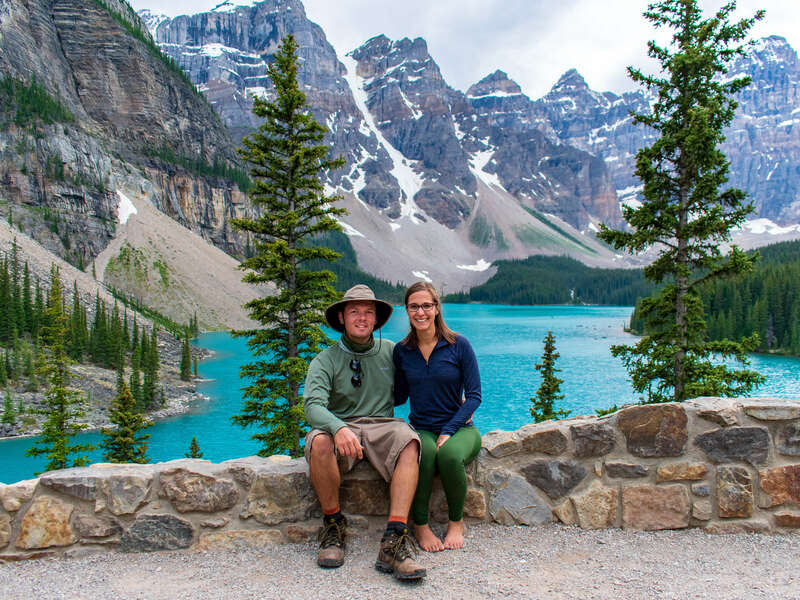 Our video below shares some of the places, hikes, and activities we did while we visited Banff National Park. Enjoy the video – but we want you to know that the only way to do this park justice is to visit yourself. So you better add this to your bucket list now! 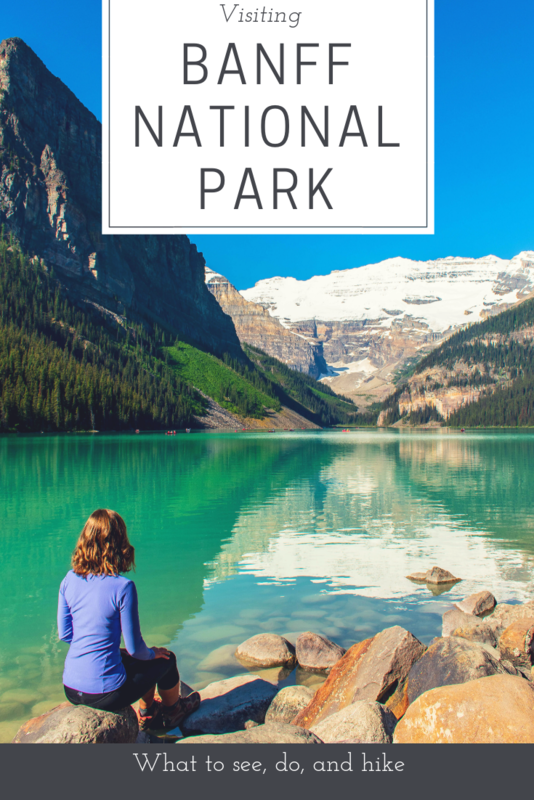 Canada’s national park system is not like the US Parks system. Unfortunately, you’re kind of on your own when it comes to planning what to do while you’re there. 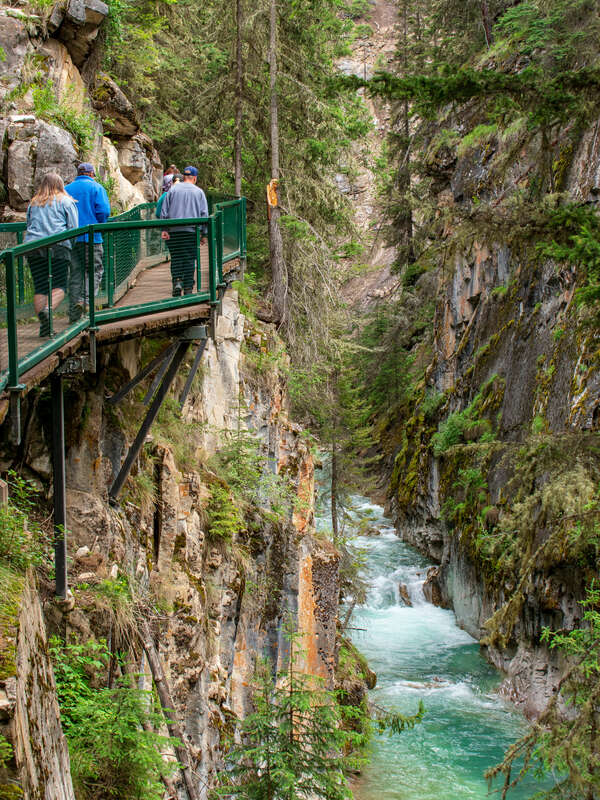 Banff’s formal website has limited information and overall, does a pretty poor job keeping you updated on road closures or important information about visiting popular destinations within the park. 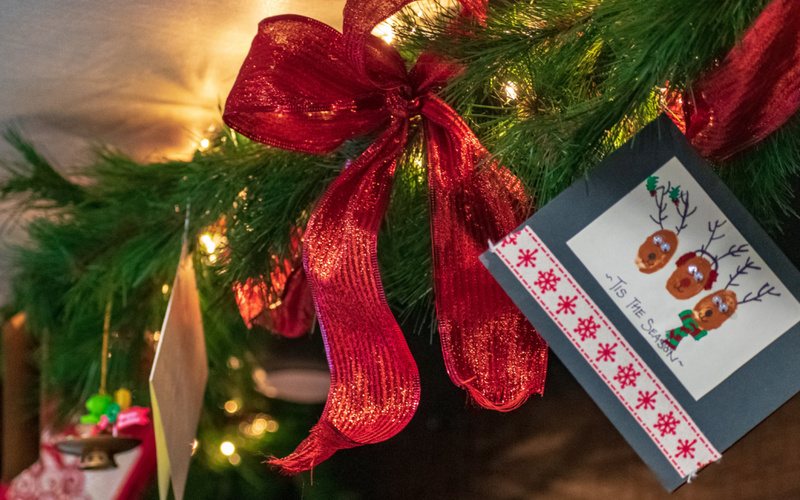 If you want a map of the entire park, you’ll have to buy it! We suggest looking at various blog posts on potential hikes, activities, or must see sights. 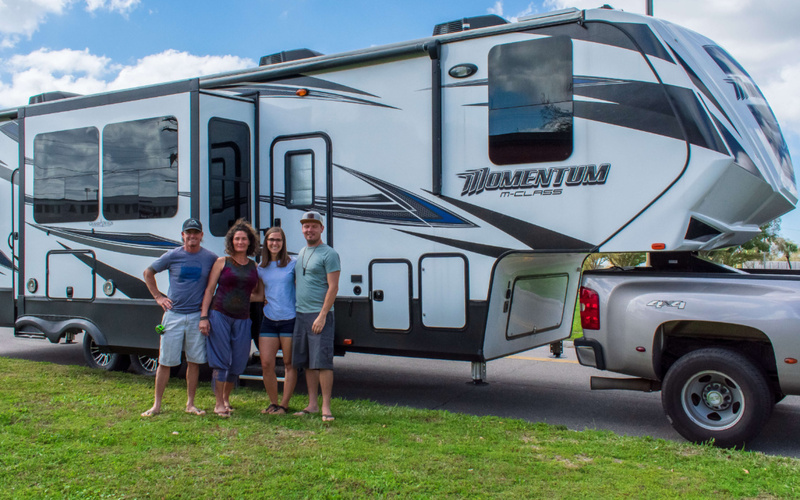 Here are a few blogs we used when we planned our trip! 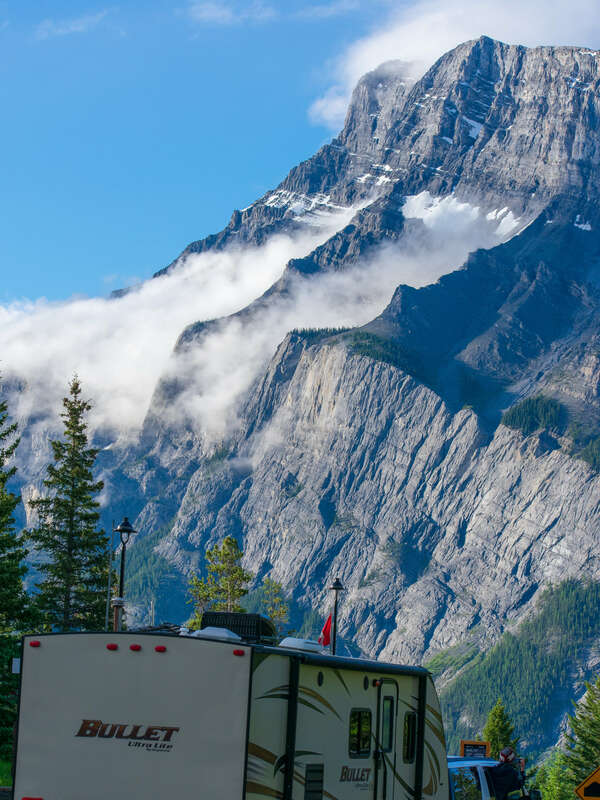 There are 11 campgrounds within Banff National Park. 5 of which can be reserved online prior to your arrival. 6 are first come first serve only. Click here for the full list. We stayed in Tunnel Mountain, which is about 10 minute drive from downtown Banff (or 30 minute walk). There was a shuttle, or bus system that would take you into town for $2 per ride. You can also drive your own vehicle if needed, but parking can be tricky. Tunnel mountain itself was a rather large campground with nearly 200 campsites offering spots for both dry camping and full hookups. 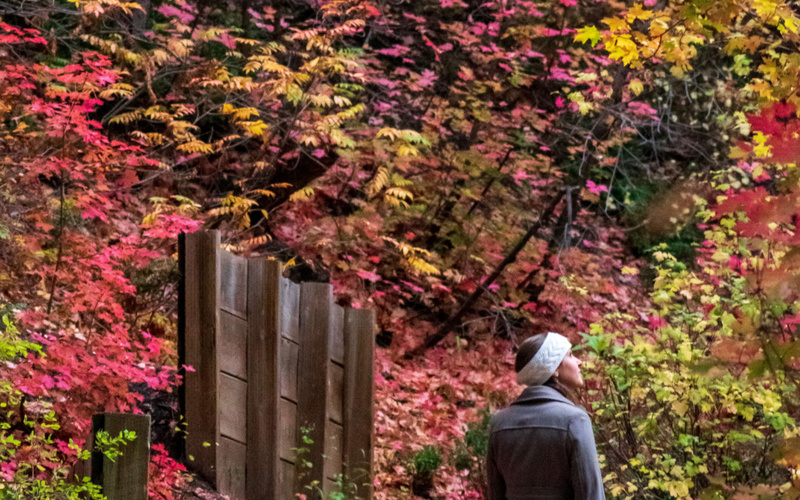 The biggest benefit to staying in Tunnel Mountain is how close to civilization you are. That means great mobile connection and proximity to grocery stores, restaurants, and shopping. While they had a lot of amenities (full bathroom, campfire wood pre-chopped, as well as electric & water) it was pretty far from most activities in Banff. Each day we drove at least 45 minutes one way, if not an hour an a half to explore, go on a hike, or enjoy a scenic drive. 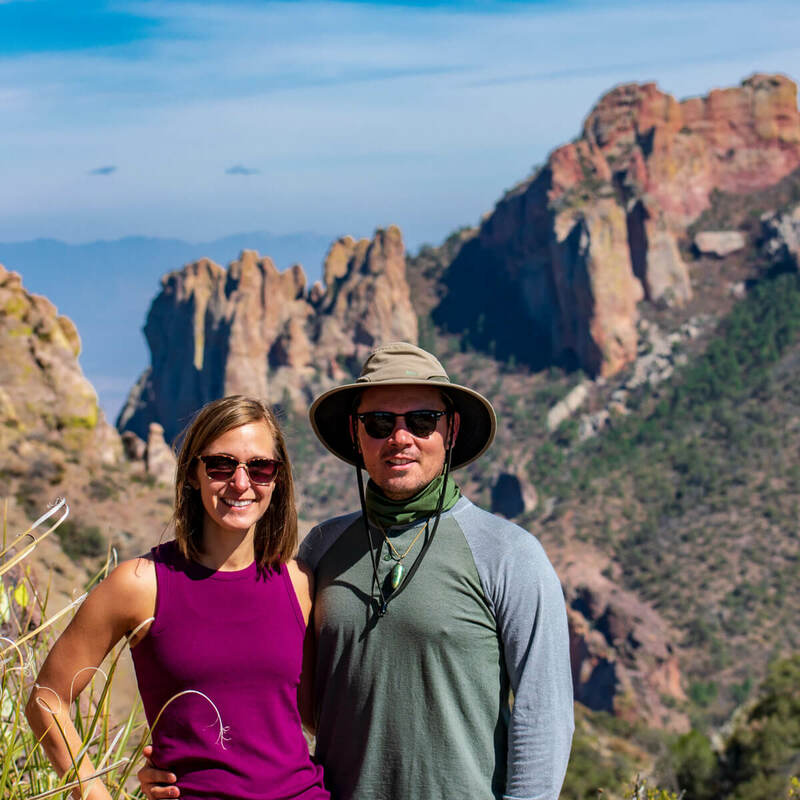 For this reason, we suggest breaking up your stay to a few nights in different campgrounds within the park so you have easier access to each area. See a map of campgrounds here. We started our first day in Bannf National Park with a quick hike in Johnston’s Canyon. This is a seriously beautiful hike that is good for most skill levels. It is just under 4 miles roundtrip with a small elevation gain. We absolutely loved walking on the wooden boardwalk suspended above the glacier fed lake carving through the canyon walls. It didn’t hurt that there were 7 different waterfalls along the way. Be prepared to get here early if you want to beat the crowds. 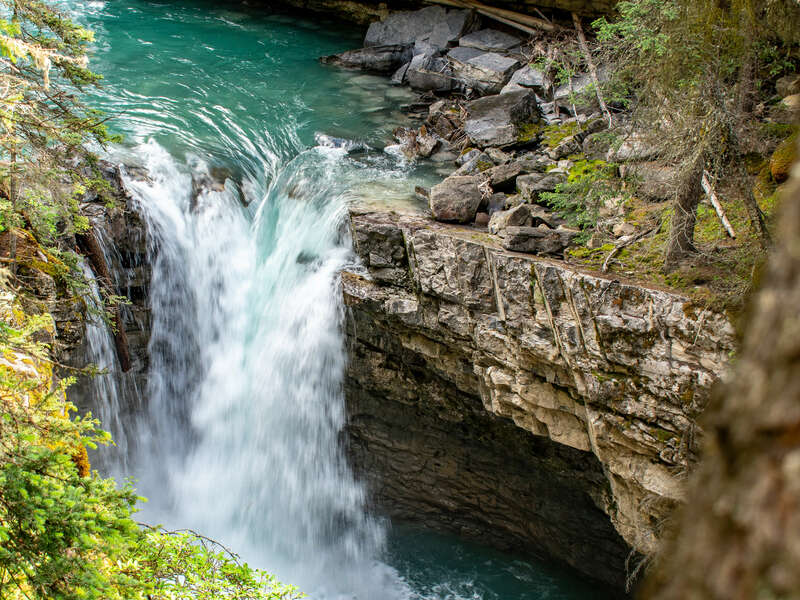 Since this is such a beautiful hike and a relatively easy one, it attracts a lot of people. We suggest starting the hike before 8 am or after 7 pm to really be able to enjoy it. 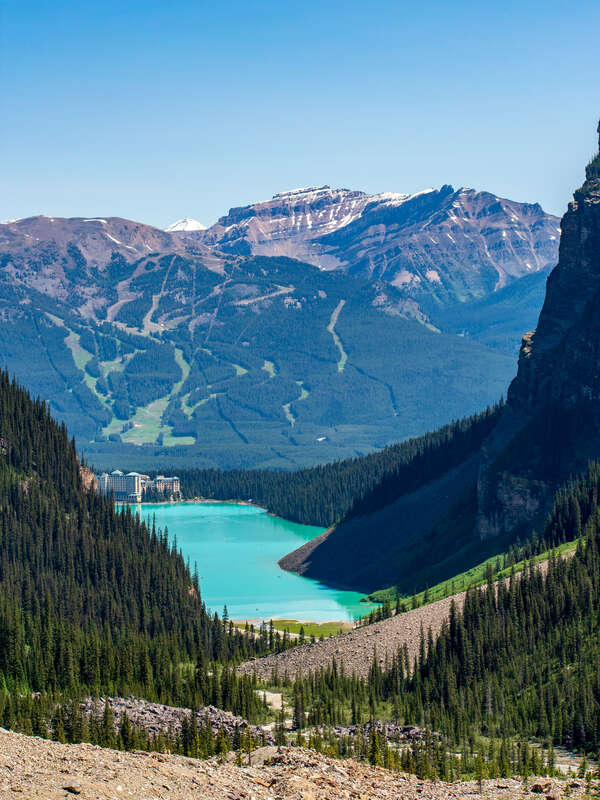 Lake Louise is one of the top destinations in Banff and for good reason. It’s instantly apparent why it’s such a popular spot. This large glacier fed lake is the most beautiful milky blueish-green, it will honestly take your breath away! Having a 5 star hotel and resort right at it’s footsteps, it draws a lot of attention and visitors so be prepared to fight the crowds for your epic photo! If you’re looking for a relaxing day requiring minimal effort but big rewards, enjoy a meal at the Fairmont Chateau. It won’t be cheap but you’re paying for delicious food with a front row view of Lake Louise. We opted for big rewards with big effort. 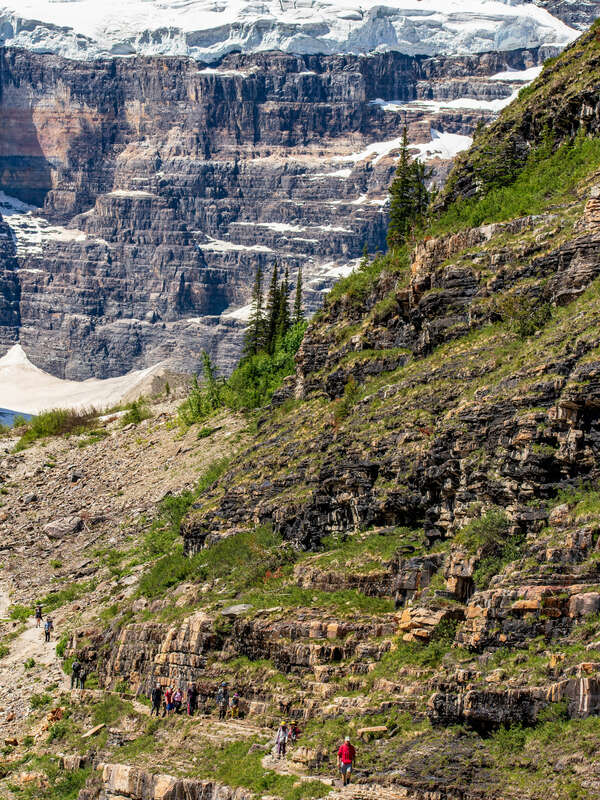 We chose to hike The Plain of Six Glaciers Trail which was incredible. Liz says it’s her favorite hike to date. While the hike itself is very steep and rather long (15km or 9.3 miles with a 420m gain, or 1,377ft elevation gain) but it’s worth it! 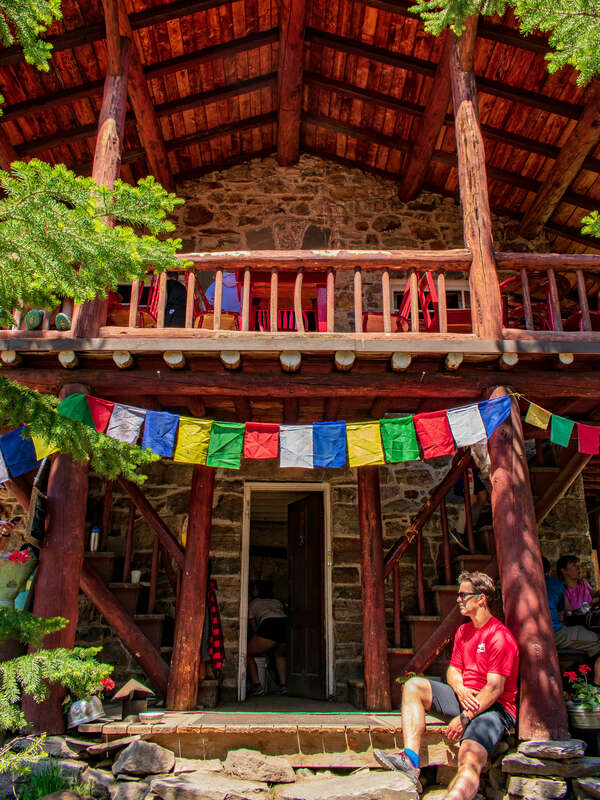 At the end you will be rewarded with a charming tea house in the mountain side. Enjoy a warm cup of tea with a delicious meal (made in house daily). The actual tea house has been around for nearly 100 years and has no running water or electricity. They use water from the local stream and wood fire ovens. 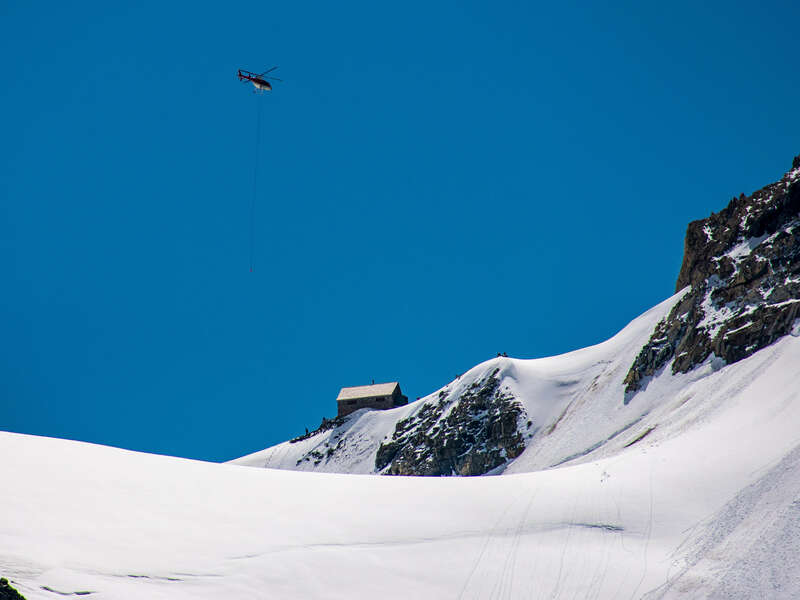 NoIt’s so remote the workers hike up once a week and stay their for their shifts. Talk about dedication! 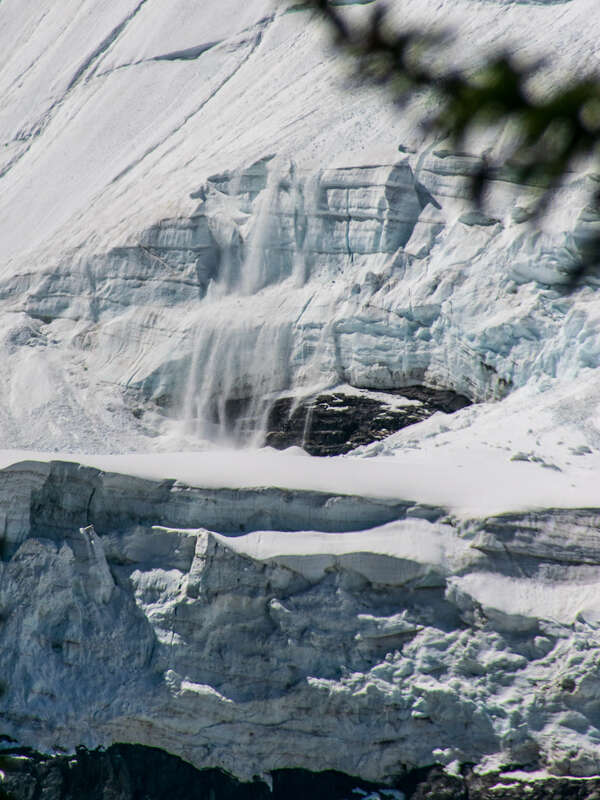 We couldn’t believe it was real as we enjoyed a yummy meal while watching avalanches fall from the nearby mountain. This hike is a must if you are able! 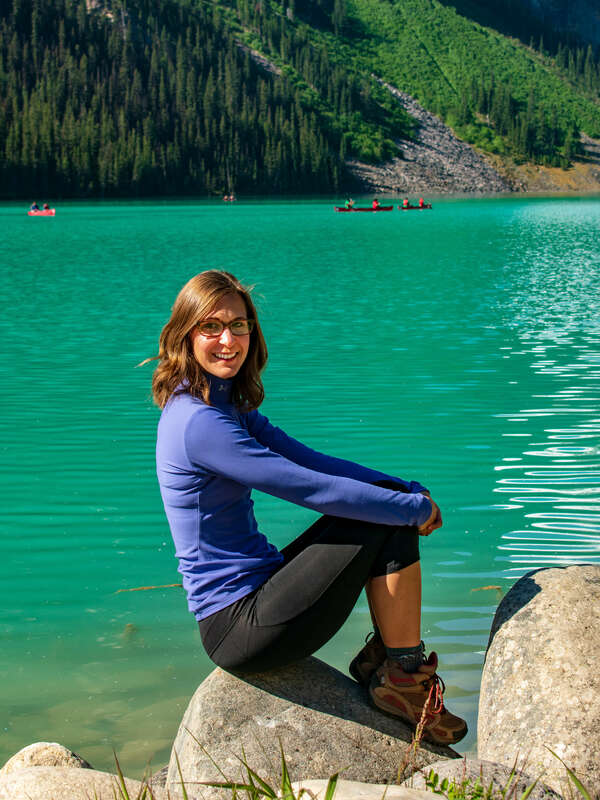 Big Bee Hive Trail is another option for a hike to a tea house in the Lake Louise area. 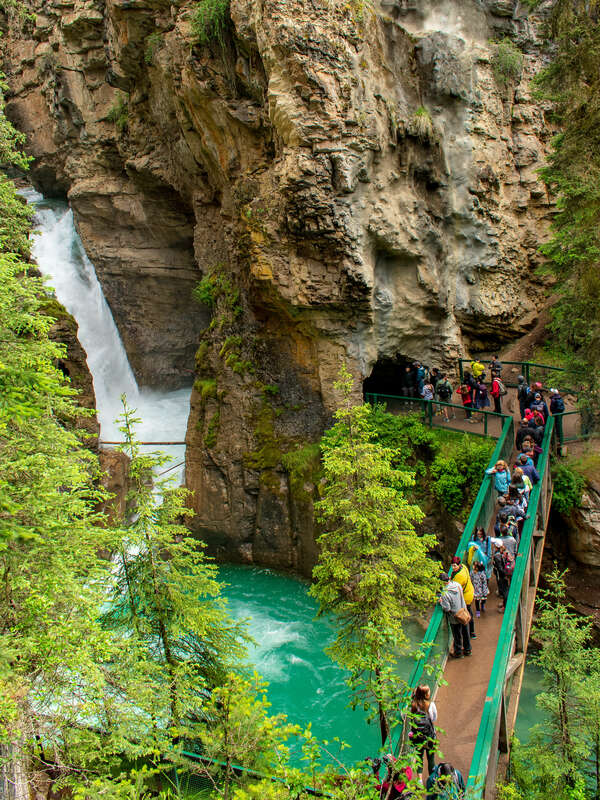 We heard this was more crowded than Plain of Six Glaciers but we can’t speak from experience. 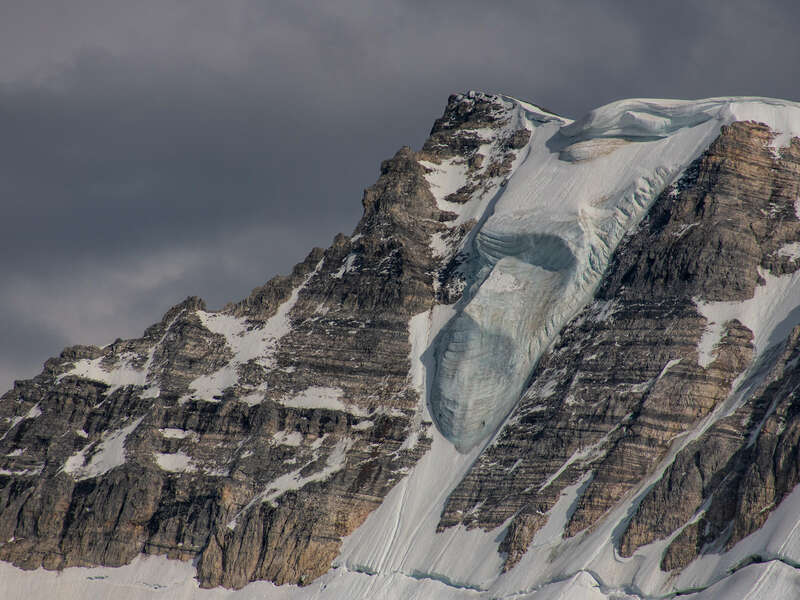 The hike itself is shorter than Plain of Six Glaciers, at 10.3km or 6.4 miles long, it is a higher elevation gain in a shorter period of time (⬆️ 647m or 2,122ft elevation gain). 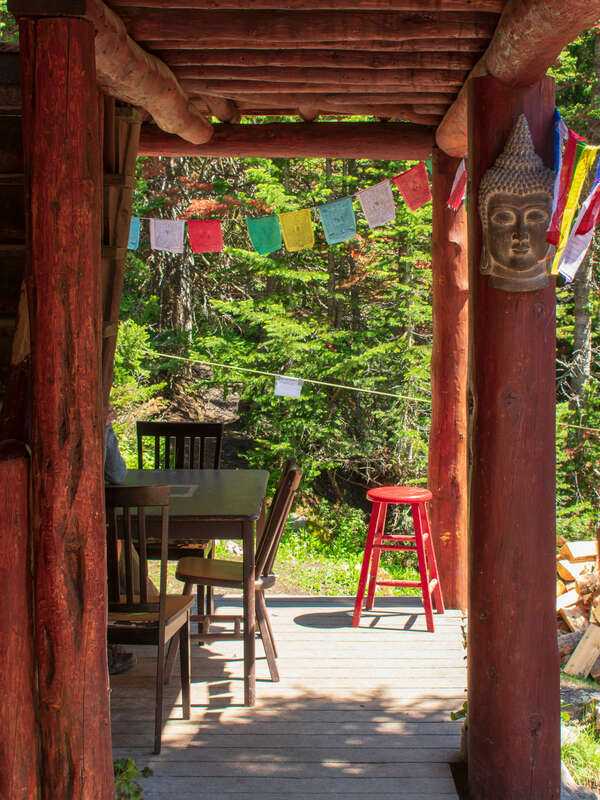 I’m sure Lake Agness Tea House is just as adorable and charming as the Plain of Six Glaciers Tea House was. 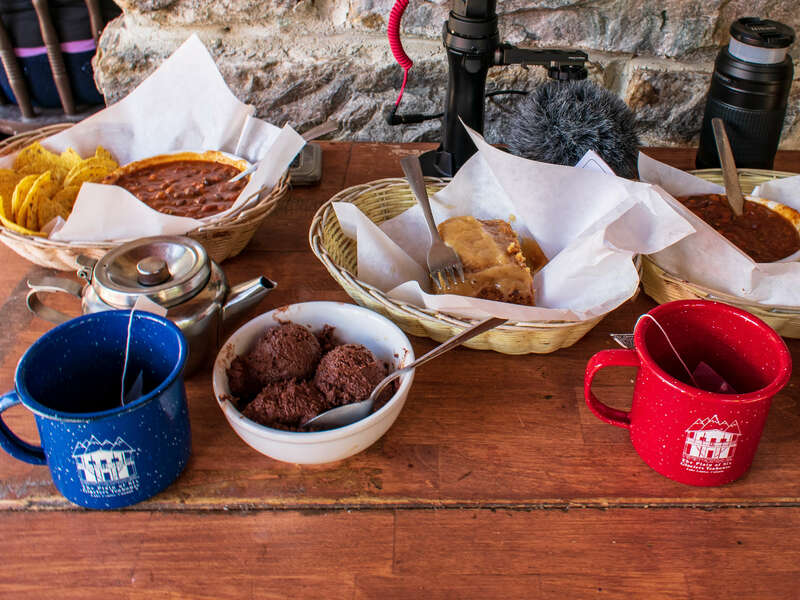 You really can’t go wrong when your hike includes a tea house in the mountains. 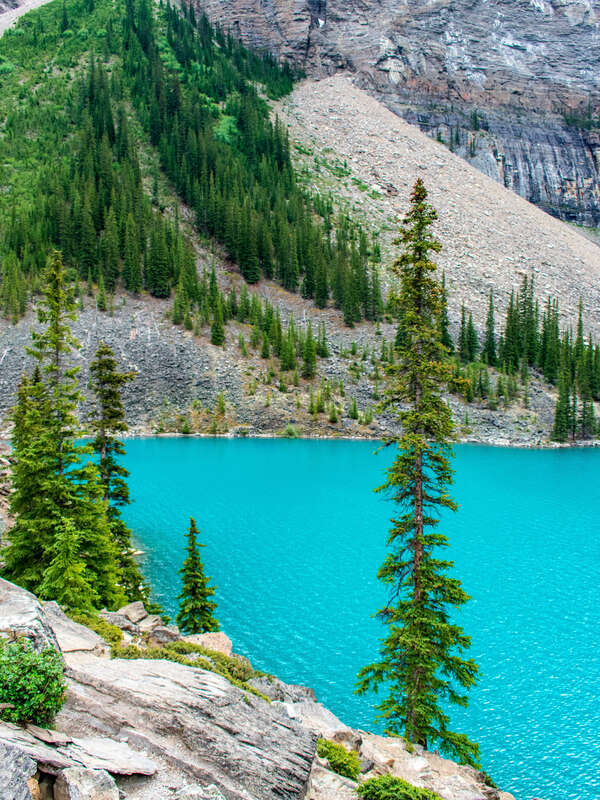 If you aren’t up for an intense hike just take a walk around Lake Louise. It’s flat and you can enjoy the beautiful views of Lake Louise from all different vantage points. 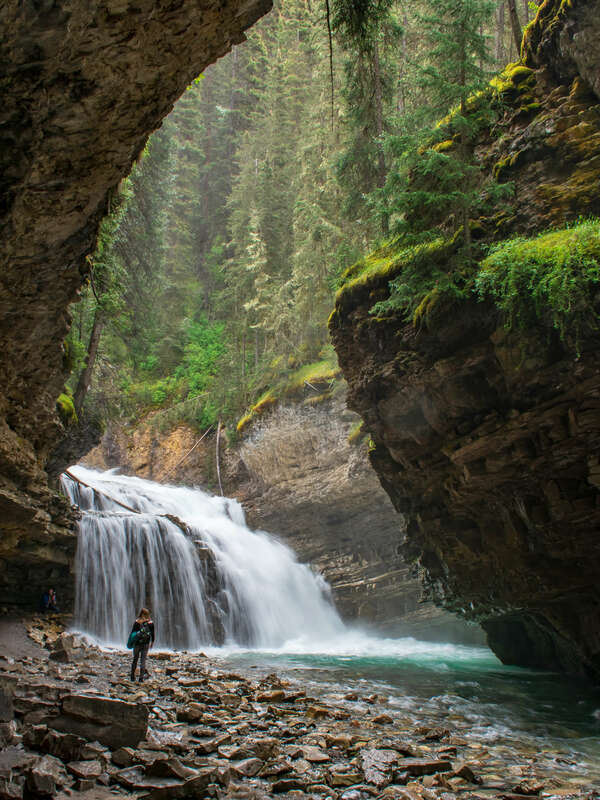 This is one of the second most visited areas of Banff National Park. I don’t know if it’s all of Canada or unique to Banff, but it’s glacial lakes are something else. Their colors are beyond spectacular and just so vibrant! Lake Moraine fills up quick, so it’s best to take the free shuttle or get their before 7 am (and you still may be too late). If you saw in our video, the week we were there the parking lot re-opened at 7:30 pm and there was still a 100 car line waiting to get in! Also, if it is blocked off – that just means it’s already full for the day. Banff’s beauty just never seems to end. We only touched the surface of all there is to do and see. We look forward to visiting again and continuing to get to know Banff a little better. There were plenty of other options like tours, hikes, and excursions we could go on next time. 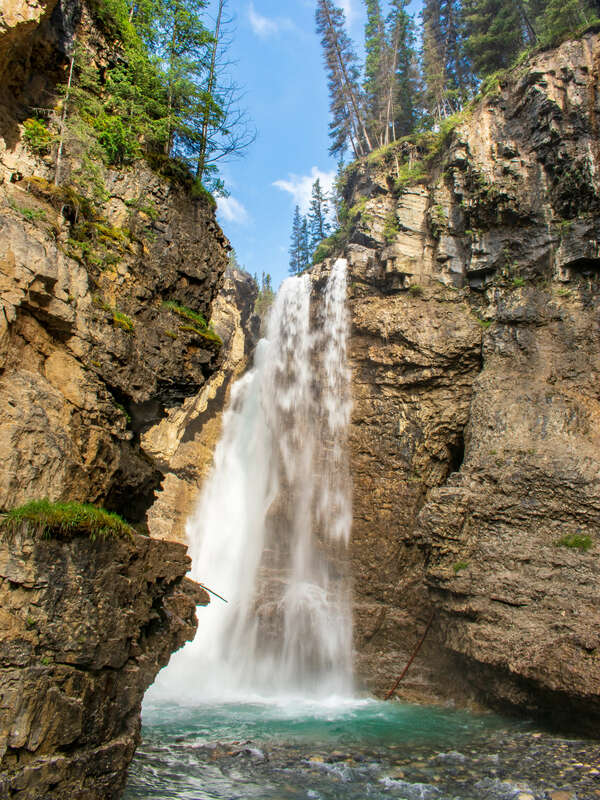 If you’ve been to Banff what was your favorite thing to do, see, hike, or explore? We’d love to hear about it in the comments section below!